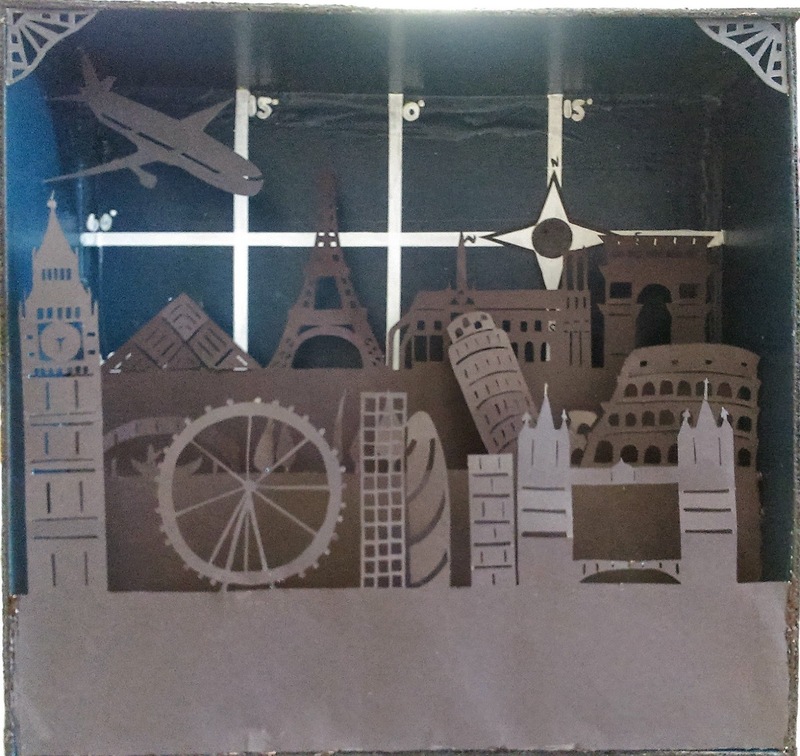 I wanted to create the look of a silhouetted cityscape but combine it with my desire of traveling so I cut out monuments and famous landmarks for England, France, and Italy. I decided to make the background a map to tie each of the places together and to complete the look. I have many places, primarily in Europe, that I want to visit and because this summer I will actually be going to London and Paris, I seem to tie practically everything to my upcoming trip. I wanted to show how each country is unique and has gorgeous landmarks and monuments that represent their history and beauty. When I was cutting out the tiny details of the monuments I did run into the problem of accidentally cutting something off or causing it to be too weak to stand up without drooping. I figured out that if I glued a tiny strip on the back, it strengthened it so that it could stand up and still had all the important details. I also later added wire to the backs of the taller buildings.